The Records and Burpee traveling Children's Zoo appears at fairs, promotions, and special events. 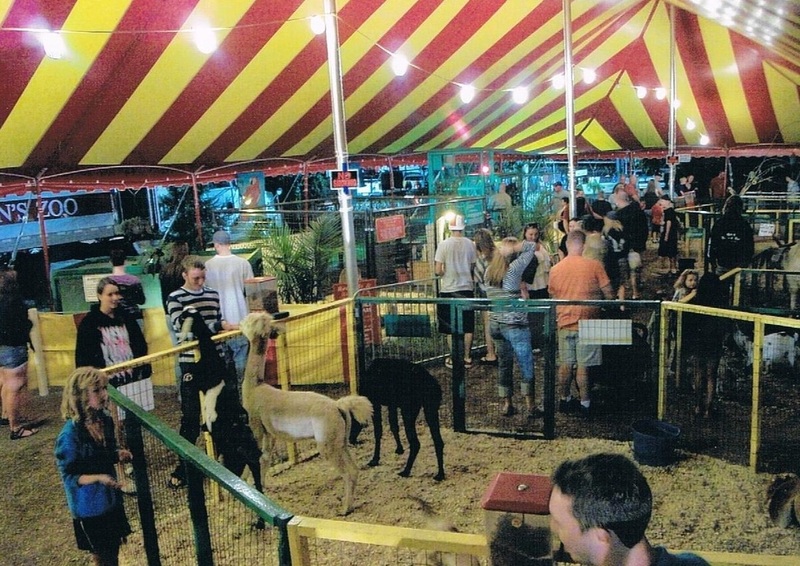 We have assembled more than 40 exotic and unusual domesticated animals in "America's brightest, cleanest, friendliest, petting zoo". The zoo is housed under our own colorful big top. The exhibit is constantly cleaned by attendants who are always available to answer questions. Our zoo surpasses similar attractions with educational signage, potted plants, and park benches. We also provide hand-sanitizing stations.